Home » Blog » How much does an end of tenancy cleaning cost? When it is time to move out of your flat or house, the first thing you need to know is how much does a professional end of tenancy cleaning cost?. To clean a flat or indeed a house professionally before a tenant moves in is an end of tenancy cleaning or move out cleaning. There are quite a few cleaning companies in London nowadays that specialize in offering just this cleaning service as the market in London alone is huge. The average cost for a 1-2 bed flat in London can vary from £120 to £240. The price you pay depends on a number of factors but the main one is the size of the property and then the number of bedrooms and bathrooms as well as separate toilets. 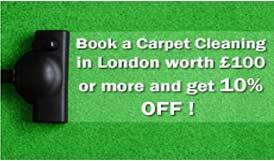 Most of the Carpet Cleaning Companies in London use the number of bedrooms, to figure out the price. Others will ask for the number of bathrooms and the cleaning condition of the flat as well as the postcode it is in. Additional cleaning services, such as professional Move Out Cleaning in London, will increase the price. Always check your tenancy agreement as it says whether or not you need to clean the carpets and/or the upholstery before you move out. Use the free call back form on the right and one of our team will get back to you as soon as possible. Please, be aware that price is in most cases a good indication of quality. Is the company a professional cleaning company? You DON’T want to use regular house cleaners who specialize in domestic lighter cleaning. They often don’t have the expertise, equipment, and chemicals to do a full professional end of the tenancy. Is the company reputable and do they have positive customer reviews? Most companies who have good reviews will tell you about them on their website or when you are speaking to them. Look out for this. Are the cleaners experienced? This really is a must. Make sure you ask about the experience gathered. Does the end of tenancy cleaning price include use of the company’s equipment and chemicals? It’s standard practice for cleaning companies to provide their own equipment. They would also charge additionally for parking and Congestion Charge. In conclusion, do your homework and make sure you choose the Professional Cleaning London End Of Tenancy cleaners you are going to use wisely. An e-mail asking about the details of the cleaning process and the number of people in a team will make your decision who to choose easier. Most reputable companies will have reviews from their previous customers. Beware as some might have written the reviews themselves! We only use the most powerful and effective upholstery cleaning London equipment that is manufactured by Ashby’s, one of the leaders in the UK market.